The Vermont Chamber of Commerce will announce the 2019 Hospitality Awards of Year at the 36th Annual Vermont Tourism Summit on April 4, 2019 for the Chef of the Year, Restaurateur of the Year, Borden E. Avery Innkeeper of the Year, and the Tourism Partner of the Year. Ronda Berns, Vice President of Tourism for the Vermont Chamber will be presenting the awards at the dinner. The Vermont Chamber Hospitality Awards are presented annually at the Vermont Tourism Summit which draws one of the largest gatherings of tourism professionals in the state including owners, managers, and employees of the many businesses connected to this important segment of the economy. In addition to the four Vermont Chamber of Commerce Hospitality Awards to be presented, VTS also features the presentation of the SMART Award for Creative Marketing in Tourism, and the Christiane Skinner Vermont Tourism Champion of the Year. This award recognizes an individual with a proven history of supporting Vermont’s agricultural economy through the use of local food and products. Sigal has a passion for local food which is evident in the strong farm-to-table kitchen that she has created through her close relationships with the local farmers and producers. 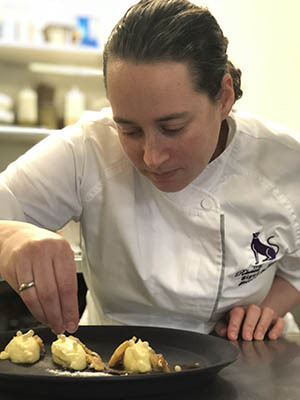 Creating inspiring seasonal menus using local ingredients, creativity and encouraging her team to be moved by the Vermont seasons is her specialty. She has grace and a calm manner consistently engaging all those who work with her. This award honors restaurateurs who continue to demonstrate excellence in the operation and management of a restaurant in Vermont. 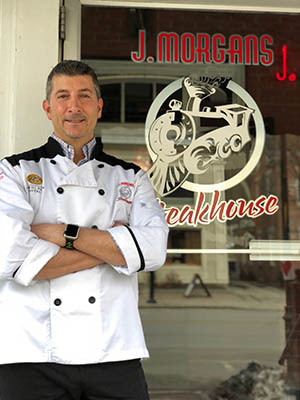 J. Morgan’s Steakhouse kitchen is efficient, immaculate, high quality and fun. The longevity of their staff prove that they are a champion of enabling staff to progress from entry-level to manager positions. They have won multiple awards for quality and service, being a true community partner with outreach that includes area soup kitchens, local churches, homeless shelters, downtown festivals and many in-kind local donations of both food and labor. This award is designed specifically for individuals who continue to demonstrate excellence in the operation and management of a Vermont bed & breakfast, inn, hotel or resort. Being the #1 property in Stowe on TripAdvisor for 6+ years is a good indication of just how hard Patti works to keep a 200-year-old inn up-to-date and viable. Her dedication to the inn and her team shows you it’s more than just a job. She works closely with every aspect and every employee. 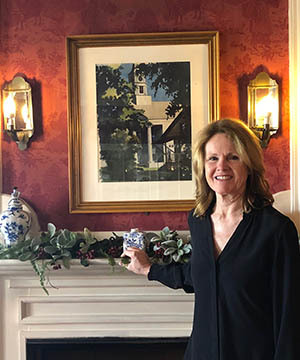 Her kindness is extended to anyone who needs her assistance – she understands what her guests need and want, and she puts those and the needs of the inn’s employees above her own. No job is beneath her and she does it all with the necessary team player mentality. Vermont is strong because of the devotion of people like Cindy. 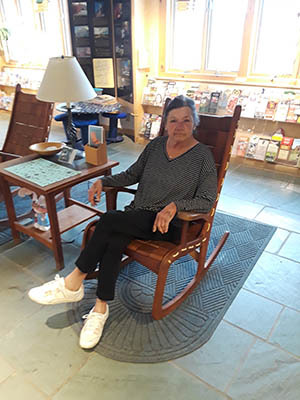 Her dedication to Vermont and how it is presented to visitors through Welcome Centers is impressive. She understands that Vermont businesses depend on her team and the centers to represent their businesses in the best possible way. Her work ethic and commitment to both her job and the state of Vermont is remarkable ensuring that visitors get our marketing messages when they visit. ​The Vermont Chamber Hospitality Awards are presented annually at the Vermont Tourism Summit which draws one of the largest gatherings of tourism professionals in the state including owners, managers, and employees of the many businesses connected to this important segment of the economy. In addition to the four Vermont Chamber of Commerce Hospitality Awards to be presented, VTS also features the presentation of the Travel Person of the Year award, the Governor’s SMART Award for Creative Marketing in Tourism, and one hospitality scholarship recipient is recognized.